The calendar may claim it's not officially summer yet, but summer reading is definitely underway here at the library. Thanks to everyone who came to our Incredible Movie Day kickoff event, and extra special thanks to the Avalon Cinema and Cheryl's Costume Closet for their help with the event. Dine out at Benvenuto's on the third Thursday of the month, mention the library, and a portion of your bill will go to the Platteville Library Foundation. Upcoming dates are June 18, July 16, and August 20. Join us to celebrate serving the community for over 100 years. Past: Visit Platteville's former Carnegie library. Present: Meet Library Board members, Foundation members, and staff. Discover current library programs. Future: Learn about the upcoming library block development project. Find out about volunteer/involvement opportunities. Enjoy refreshments and children's activities. Drop by the library and enjoy patriotic 4th of July games, crafts, snacks, Captain America photo op, and a guest appearance by Uncle Sam. All ages are welcome. Join us at the Platteville Armory (475 N Water St) for an afternoon of Super Hero Training and special guest appearances by Batman and Robin. If you haven't signed up for children's summer reading yet, you still have time to stop by the library in person to sign up for summer reading and pick up a child's reading log. If you are already halfway through your reading log (25 books for ages 3-6 and 500 pages for ages 7-11), bring your folder to the library and show it to staff to receive an entry for the KA-POW prize drawings. Contests are in full swing now at the library. Have you found the weekly hidden heroes at the library or guessed how much Kryptonite is at the front desk? 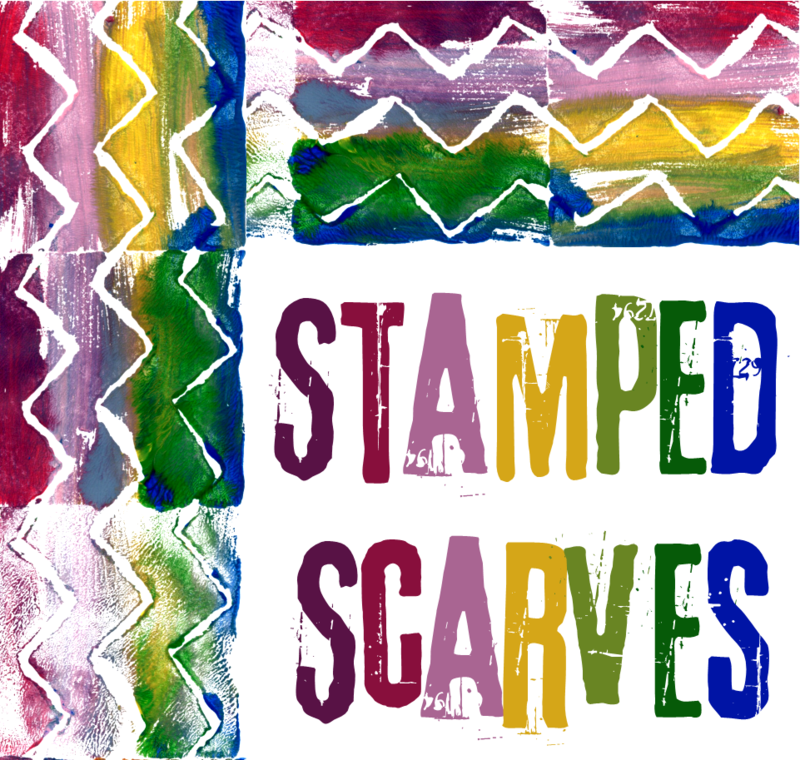 Weekly teen programs are getting started with World Record Setting Day (June 24), Teen Block Party (July 1), Duct Tape Creations (July 8), and Stamp of Approval (July 15). Stop by the library or call us at 348-7441 ext 4 to sign up. If you've already finished your Super Summer Reading Record, they can be turned in for a book and a prize starting June 15. If you haven't started your summer reading yet, you still have plenty of time to pick up a reading record at the library. Take the library with you this summer with e-books and e-audiobooks from Wisconsin's Digital Library (OverDrive). Bring your device and library card to one of our drop-in workshops and learn how. All ages. Call 348-7441 ext 4 to sign up. How can someone closely link Depp's take on a Disney park ride to the annals of ancient Roman Drama? Come find out how it's done, and learn along the way how some ideas of the hero in the modern world have well-established roots in the past (and how those long-ago toga-wearing folk laughed at some of the same jokes we do!). Join us for crafting, chatting, and cookies at the library. You bring your own project, we'll bring refreshments. All kinds of portable craft projects welcome. Ages 12 - adult. Come when you can, leave when you have to. We'll all learn how to play this lawn game together. 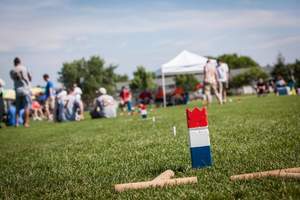 Also known as “Viking Chess,” Kubb has particularly been gaining popularity in Northern Wisconsin. Ages 12 - adult. Kick off our super summer Saturday movie series with this superhero movie. Rated PG-13, the film is based on an action-packed graphic novel by Jeph Loeb and Ed McGuinness. Movie snacks are provided or bring your own favorite treat. Children under 13 must be accompanied by an adult. Questions? Call 348-7441 ext 4. A cross country coach in a small California town transforms a team of athletes into championship contenders. Starring Kevin Costner. Rated PG. Children under 13 must be accompanied by an adult, movie snacks will be provided. Questions? Call 348-7441 ext 4. It's a Batman movie marathon - come for one or all three! Movie snacks are provided or bring your own favorite treat. As always, children under 13 must be accompanied by an adult. Questions? Call 348-7441 ext 4. If you haven't picked up your Book Bingo card yet, there's still plenty of time. If you've already finished your entire card, you can turn it in now (and get the first pick of the prize books). Our fourth annual Trivia Night is right around the corner. This year's theme is "heroes," but don't worry - even if you don't know your Marvel from your DC Comics, you'll still have more than a fighting chance. Call us at 348-7441 ext 4 to sign up your team. If you don't have a team, we'll match you up with some new friends to form your own team of Super Trivia Avengers. Thanks to the Platteville Community Fund for a $700 grant to fund a "Meet the Author" series this fall! This program will include a series of Skyped author visits for ages 7-11. Look for more information about the program coming this fall. 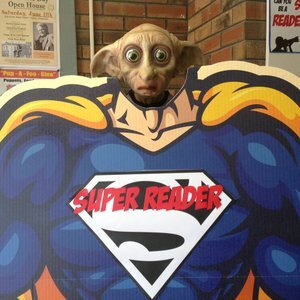 Are you a Super Reader? Take your picture in our cutout (in the Elm Street lobby) and show the world your super reader powers. We'd love to see your photos - share them with us by tagging the Platteville Public Library or #SuperSummerReading on your favorite social media. We love sitting outside in the summer with a book, but we also love a little exploring. Check out our Family Nature Backpack for your next family hike in the woods. It checks out for three weeks and is full of goodies like identification guides, animal tracks cards, and a magnifying glass. Plus, it comes in a handy (and adorable) backpack. 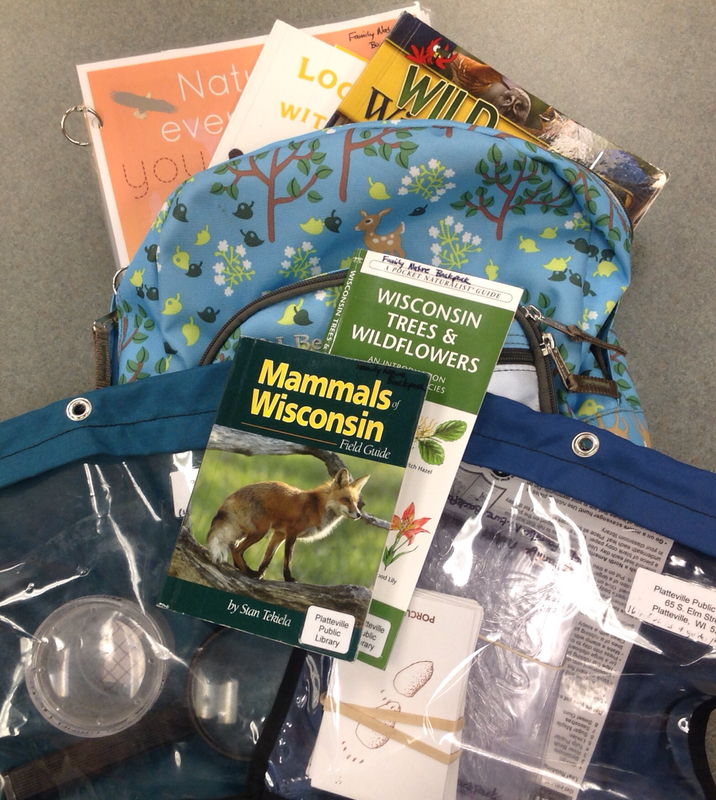 This kit was funded through a grant from the Wisconsin Environmental Education Foundation. Free audiobooks? Yeah, that makes us happy. SYNC is a free summer audiobook program. From May 7 - August 13, SYNC gives away two complete young adult audiobook downloads a week for you to keep - a current young adult title paired with a classic or required summer reading title. 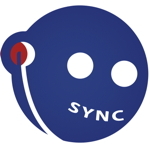 Sign up for email or text alerts and be first to know when new titles are available to download at www.audiobooksync.com.